of cold water and blend. 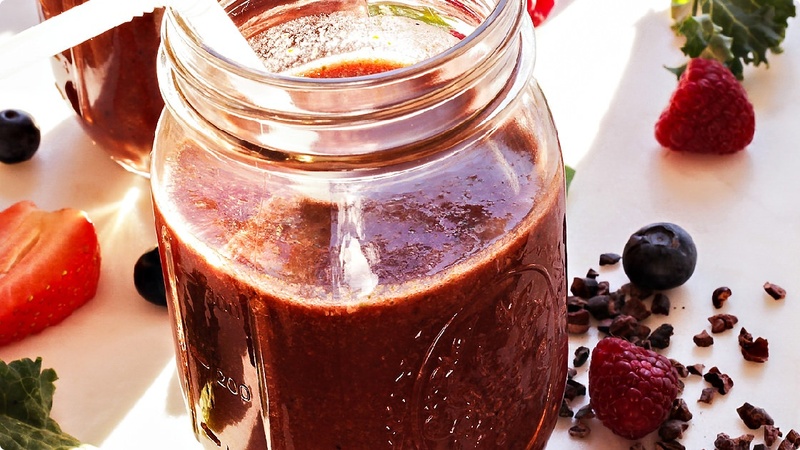 Add cacao nibs, goji berries, maca, Karen’s Superseed medley and blend for about 1 minute. Add beets, greens, frozen berries, MCT Lean MCT oil (or coconut oil), and blend.